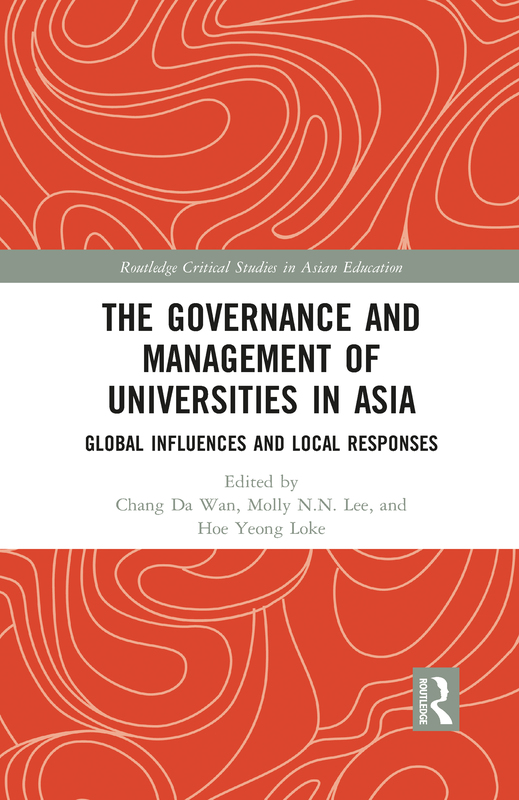 This volume seeks to identify and explore the dynamics of global forces on the development of higher education in Asia, in particular, how neoliberalism has affected reforms on university governance and management in the region. It includes a set of country-specific studies on how various countries have responded to the dominant neoliberal ideology at the systemic, institutional, and process levels. The focus is on the relationship between the state and the universities, which is usually reflected in the degree of autonomy and accountability allowed in a particular higher education system. The selected countries are Cambodia, China, Indonesia, India, Japan, Malaysia, Singapore, South Korea, and Thailand. Each case study examines the establishment of corporatised or autonomous universities in the country focusing on (i) the acts, reports, and/or policies that led to such a move as well as the rationales behind the move; (ii) the changes in the governance and organisational structure of the universities, highlighting the kinds of autonomy that the universities have; (iii) the new management strategies, techniques, and practices that have been introduced to the university including the internal and external quality assurance mechanisms, and (iv) some of the tensions, conflicts, and acts of resistance that may have emerged. Towards public autonomous universities in Cambodia?